Happy Friday, y’all! Hope you’ve got some big plans for the weekend. I have two possible outcomes. If my trip to Florida is approved sometime today, then my weekend will be filled with making cards to post next week. If not, then Finny and I are going to a dog show on Saturday. Not to compete – just to walk around and watch! And see lots of cool stuff!! Heck – I may do that anyway and just resign myself to a couple of late nights. They’re going to do some search-and-rescue trails. I think that would be a cool endeavor for the Chewie! I was working with the challenge over at The Card Concept with this one. I started with a piece of Very Vanilla card stock and used the script image in the Background Bits set to stamp all over the panel. I used Crumb Cake ink and stamped the image off once before stamping the panel. Then I used the floral block image – again stamping off once – and stamped over the top in Crumb Cake. Then I SNAILd the panel to a Basic Black mat. For the next layer, I used a piece of retiring This Christmas Specialty DSP (still available at 30% off!). I tore the edges to get it down to size and sponged it with Crumb Cake ink. Across the bottom, I stamped the flowers from the Background Bits in stamped-off-once Crumb Cake. Then I used Liquid Glue to adhere it to the card front. Using the largest die in the Butterflies Thinlits, I cut one from Basic Black and one from Island Indigo card stock. The Basic Black butterfly I adhered with Liquid Glue directly to the card front. My sentiment, from Background Bits, is stamped in Tuxedo Black Memento Ink on a piece of Very Vanilla. I snipped banner ends and distressed the edges with my Tim Holtz distress tool (I got mine at Amazon – here’s a link!). I stamped over the sentiment with the Background Bits floral block image in stamped-off-once Crumb Cake. Then I sort of roughed it all up to wrinkle it a bit. Finally, I sponged it with Crumb Cake. I doubled a length of 5/8″ Burlap Ribbon and adhered it and the sentiment to the card front with my Handheld Stapler – and that was it for the card front. On the inside, I used another panel of Very Vanilla and added the Background Bits script and floral block images in stamped-off-once Crumb Cake. Then I used my Stamp-A-Ma-Jig to add a second sentiment in Tuxedo Black. I also added the flowers in stamped-off-once Crumb Cake over the sentiment. I sponged the edges with Crumb Cake, SNAILd it to a Basic Black mat and into my Island Indigo card base. Then I popped the card front on with Stampin’ Dimensionals and the card was done! …then I added more of the This Christmas Specialty DSP to the envelope flap and added some Crumb Cake flowers and sponging. Et Voila! I love this card kind of a lot, y’all! I love the distressed sheet music and the wonderful – but subtle! – designs from the Background Bits stamp set. And I think the butterfly just pops!! I hope you like – and are figuring out how to get this Host stamp set for yourself!! Give me a holler – I’ve got some ideas on that! Still Time to Get Yours! What are catalog shares, you ask? Well…think of them as a Test Drive of a new catalog! In this Annual Catalog, there are 16 new Designer Papers….14 new Embellishments…..and more new ribbons than I can count!! If you were to buy one of each of them – you’d spend over $600! 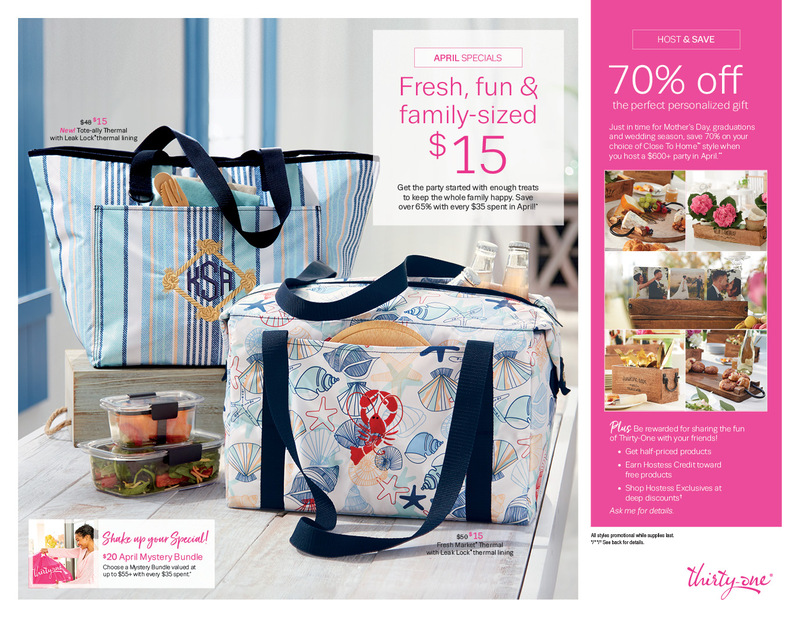 Shares are a great way to get a little of everything from the new Catalog! You get a chance to “try before you buy”! I’ve got a few options for you to pick from: a New Designer Series Paper Share, a New Ribbons/Embellishments Share, and an I Want It All Share (this one gets a couple of free extra goodies!!). You can get all the details and a full list of what you’ll get with each share type and get signed up for your Share right here. Don’t delay – 30 May is the cutoff date! Subscribers must join by Saturday, June 10, 2017; 11:50 PM (MT). The Eastern Palace Suite is available thru the end of May in two awesome bundles! Just so you know, while all the products will still be available when the catalog goes live on 1 June, these bundles will NOT be! Nope – they go away at the end of May. Background Bits will be available to Hosts and to folks with individual orders over $150 starting on 1 June! So – it’s snick season here in GA.
What’s a snick? It’s our word for cases of mistaken identity. Observe. And this is a Snick…. These are not Snicks… those are sticks. Not a snick. Real thing. Stampin’ Up! Meet the 2016-2018 In Colors! About a hundred years ago – okay, maybe early 2014 – before I found the joys of Stampin’ Up! products, I was self-educating in the world of card making and stamping. The earliest product line I discovered was Tim Holtz – and his fabulous vintage/steampunk/grunge look. Definitely my cup o’ tea! I indulged in a voracious appetite for his goodies – I stalked the aisles of every hobby supply store in the area. I bought heaps and gobs and buckets of Tim’s grungy goodness. When I saw the new Stampin’ Up! stamp set called Thoughtful Banners – I was reminded of my Tim Holtz stickers. And I saw some card examples where folks had stamped individual words and then cut them out and stuck them on. Like Ideology stickers (that’s Tim Holtz’s line). And I wanted to try that. So – today, I did! I started by SNAILing a piece of that Mossy Meadow Birthday Bouquet DSP to a panel of Blushing Bride card stock to form the card front. 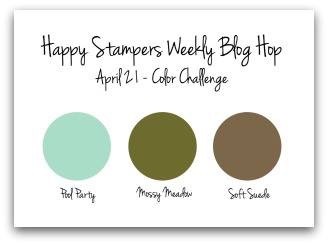 I edged the card stock with my Mossy Meadow Stampin’ Write Marker. For the white portion of the card, I laid a piece of White Corrugated Paper sort of cockamamy on the card front, and lightly drew a pencil line on the back to show where I wanted to cut. Then I did – with my Stampin’ Trimmer! Very scientific. I did the same for its Blushing Bride mat. Before I SNAILd that corrugated paper to its mat, I ran it thru the Fluttering TIEF, making sure that the DE-bossing side of the folder was on the ridged side of the panel. With that done, I SNAILd it to its mat and then to the card front. The sentiment is a strip of new Flirty Flamingo card stock, stamped in Mossy Meadow with the sentiment from Butterfly Basics. Then I punched the banner end with the Banner Triple Punch. I cut a Blushing Bride strip a little bigger, edged it with the Mossy Meadow Stampin’ Write Marker and SNAILd them together – and then to the card front! I used some Multi-Purpose Liquid Glue to adhere my triple butterfly to the card front, added one tiny Pearl to the sentiment strip, and the card front was done! For the inside, I used a panel of Whisper White card stock and embossed one butterfly in the bottom corner. To do that, I laid the panel over the butterfly I wanted in the Fluttering TIEF. Then I gently rubbed my thumb over it to sort of start the impression. Then I used the Scoring Tool from my Simply Scored board to finish embossing the butterfly. In case you can’t see it in the picture – the butterfly is DE-bossed…. Then I SNAILd it to a Blushing Bride mat and into my Flirty Flamingo card base. And, finally, I popped the card front on with Stampin’ Dimensionals, and the card was done! For the Whisper White Medium Envelope, I stamped one little butterfly from Butterfly Basics – in Flirty Flamingo. A Flamingo Butterfly. Hmmmm….. Et voila! Veyr simple to make, folks. The hardest part was getting the geometry right and that wasn’t really all that hard! The DSP and the pretty butterfly do all the work on this one! Hope you like! Blushing Bride Card Stock: 4 1/8″ x 5 3/8″ (mats for card front and inner liner); 1 1/8″ x 5 1/4″ (mat for sentiment banner); mat for embossed White Corrugate paper – 1/8″ bigger…. White Corrugated Paper: Fluttering embossed panel – sized to make you happy with your card! You know what the best thing is about being a Stampin’ Up! demonstrator? It’s being able to buy all the stamp sets (and everything else!!) at a 20% discount. Know what the worst thing is about being a Stampin’ Up! Demonstrator? Yup – you guessed it! It’s being able to buy all the stamp sets (and everything else!) at a 20% discount!! 😉 When you combine that with a cool MacBook Pro and high-speed internet….well, the results can be disastrously wondermous! It also lends itself to having a veritable plethora of choices for every card I make. Too many sometimes – I see a sketch come in my e-mail and then I sit and stare at my current stamps….and stare….and pull out a case and consider….and then stare some more….well, you get the picture. Lots of dithering.